The beautiful city of Hyderabad is a monument of heritage & a growing skyscraper of excellence. This 420-year old city is now India’s second largest metropolis, and boasts of an appealing fusion of the old-world charm and the effervescence of modern enterprise. That old city of Hyderabad is still vibrant with activity – a magnum opus evoking awe, affection and gratitude, an enduring metaphor for the various meanings of a city one has grown to love, understand and make one’s own! Hyderabad is known for its magnificence in terms of its rich history, culture, monuments and heritage. Originally known as Bhagyanagar, it certainly is a ‘City of Fortune’ with its fast progress on Information technology and several other upcoming industries like health, pharmaceuticals, manufacturing, tools and devices, hospitality etc. Hyderabad welcomes anyone & everyone with open arms. While the city evokes a feeling of warmth, etiquette, graciousness and splendour, it is the unparalleled development in all fields that has put Hyderabad on the world map. Little wonder that it has been tagged as one of the world’s fastest developing cities and a preferred destination for business development. It is a modern metropolis well-serviced in terms of transport, good hotels and restaurants, sightseeing, shopping, parks and recreational facilities. The new Rajiv Gandhi international airport is among Asia’s best airports in passenger-handling capacity. 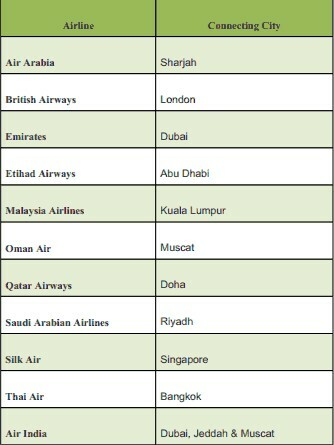 Most global airlines fly into Hyderabad direct, making it a hot favourite for international conventions and commercial activities. Some notable events held in the past years include the 39th Meeting of the Asian Development Bank, International Congress of Mathematicians, National Science Congress, the 'Kalchakra' - a sacred event for Buddhists, Conference of Parties – 11, World Allergy Congress & now the 36th International Conference on Software Engineering in June 2014. Hyderabad is showcasing its competence to the world and has opened up to the world like never before and it is poised to take over the world, not just with charm, but with its capability! 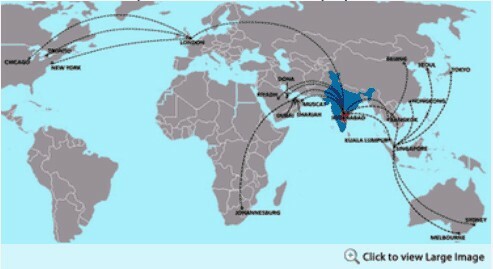 Hyderabad has direct international connectivity from several major cities in Europe, Middle East and South East Asia. One can reach Hyderabad either with a direct connection from any of the major hubs connecting to Hyderabad or via New Delhi, Mumbai, Kolkata or Chennai. Delegates can also take a connecting flight to Hyderabad via New Delhi & Mumbai, as both the cities have direct connectivity to all major cities of the world and are within 2 hours flight time from Hyderabad. Being geographically located in centre of India, Hyderabad is within a flight distance of 2 hrs from all metro cities of India. 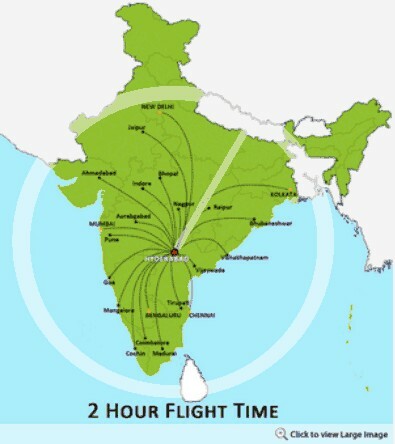 It is well connected by all domestic airlines to all major metro cities in India.